Since DMA has a brand new website—all of 14 hours old as of this post on Mar 19, 2017—we thought it would be a good idea to update our evolution timeline so everyone out there knows how we’re progressing. June 6, 2007, 9:16 AM: DMA Staff was notified of their ability to become authors for the site. As some of the staff is already on the road teaching the first few Academies, they were unable to activate their accounts. This creates a slight dilemma with regard to posting highlights about ULM and Arizona–patience will have to come into play until those people can get home and log on. June 6, 2007, 7:30 PM: The site is now officially a subdomain of the main DMA Website. 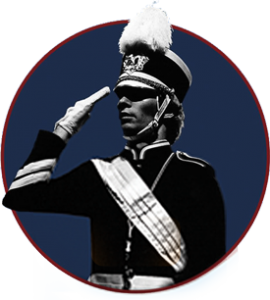 http://dmablog.drummajor.org is our home! June 6, 2007, 9:30 PM: A little tweaking of the layout and colors has started. At this time I am limited in what I can and cannot change–we’re utilizing a template courtesy of WordPress. There seems to be some promise in getting the “look” I want but it will take time and again, the “p” word: patience. June 8, 2007: A couple more staff members have signed up to be authors of posts. Reports from Arizona DMA started to come in too. Some changes were made to the layout (font and font size), background color and title changes. Blog Stats have us over 400 hits in 48 hours–not bad! July 21, 2007: It has been over a month since I’ve added to this timeline…many postings have been made, over 4,000 hits have occurred and much has been learned. We do not have access to the internet at all of our locations–this is controlled by each separate University and unfortunately there is not much that can be done about it. Most upsetting but a reality that we can work learn to work with and prepare for in the future. February 24, 2008: For some reason that remains unknown to just about everyone, Firefox was not reading the original layout of the blog. Many things were missing, in the incorrect format or in the incorrect location–even WordPress could not understand it. So a change in theme layout seems to have done the trick….time will tell. July 24, 2009: Another summer almost complete; the DMA BLOG has been successful–more so than last summer thanks to the use of technology. Staff members are texting quick summaries back to the office and I write them up as quickly as time allows. This has allowed for more coverage of ALL the 2009 Academies, as well as quick coverage. Due to dorm restrictions and such, there are still many locations where the staff does not have internet access. Therefore asking them to blog is useless. But we are persistent types and this approach has paid off, at least for 2009.We added a Twitter account to DMA this summer as well, and connected it to the blog. This has allowed for REALLY quick posts, even of photos. The constant advancement in technology and use of various social networking tools have allowed DMA to reach so many more people. March 19, 2017: Ok, so it’s been a minute since we updated this part of our blog but hey! Now we have a good reason to! 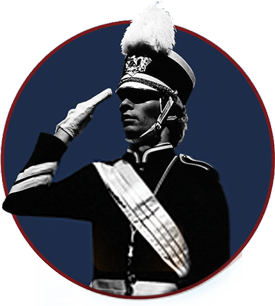 Check out our shiny new website and lots of NEW, awesome blog posts to help make you a better drum major!